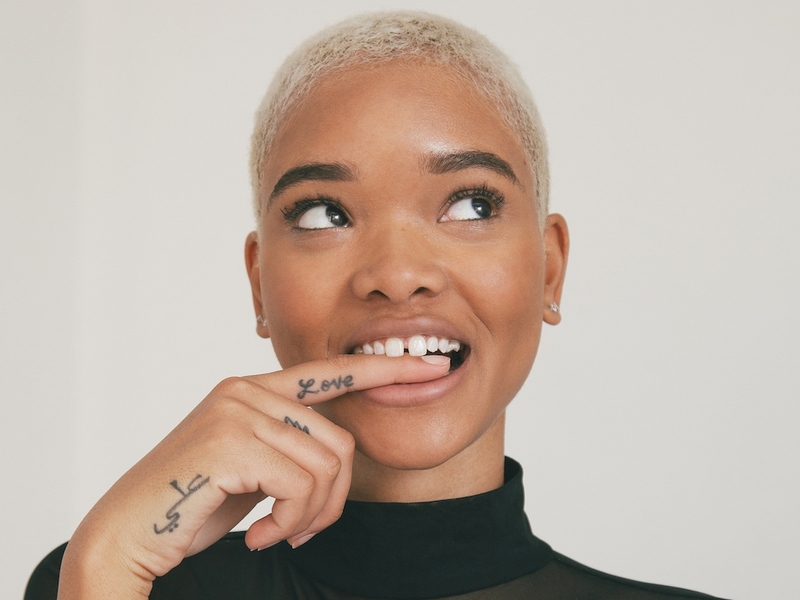 After winning a V magazine modeling contest at age 17, Brooklyn-born model Iesha Hodges quickly signed with One Model Management and has a portfolio most models can only dream of. Iesha has landed a coveted place in the iconic Victoria’s Secret runway show, marking an exciting milestone in her career. She already has an impressive portfolio that includes campaigns for the likes of Marc Jacobs and Miu Miu, as well as having walked the runway for Oscar de la Renta and Miu Miu. Iesha has also been featured in editorials for InStyle, Teen Vogue, Harper’s Bazaar UK, and Wonderland magazine, to name a few. When she’s not strutting her stuff on the runway, you can find Iesha with a camera in hand, as she vlogs her daily life as part of her popular YouTube series. This is where she shares her beauty & wellness regime, her love of home décor and takes you behind the scenes, whether it’s at a photo shoot or a red carpet event. Iesha is also a huge supporter of women empowerment and has plans to find a like-minded non-profit organization that focuses on inspiring the female youth. We chatted to the up and coming model about landing the coveted VS show! Congrats on getting VS! What was the casting process like? IESHA HODGES: Thank you! This was actually my second year going to the VS casting! The first time around, I've got to admit, I was beyond nervous. My second time going, I felt much more confident in myself and in my own skin that I was ready to give it my all! The Victoria’s Secret casting is honestly like none other. It’s thrilling! It’s exciting! It’s really a dream come true just to be cast. IE: Nerves! Oh my goodness! The hardest part is being able to shake them off! Every single girl in that casting deserves to be there and we each know how phenomenal and empowering it is to be apart of the VS Fashion Show. For me especially, I think I was smiling the whole time! Overwhelmed with joy, and so much gratitude just to be in that room! Wow. And with my blonde shaved hair? Speechless. I’m still to this day so amazed and thankful that VS picked someone as unique and different like myself to be a part of their annual show! It’s absolutely amazing! IE: I’m most excited about being surrounded by so many confident, fearless women. That’s the most exciting part. The energy! The girl power! And even the sisterhood that each and every girl shares backstage before hitting the runway. It makes the experience much more exciting. Knowing that you’re not alone. There’s a team of women backstage all rooting for one another and coming together to put on an incredible show. How have you been training in preparation? IE: I’ve been training 4 times a week since I’ve found out I got the show! My workout includes a lot of ab workouts, stretching, and cardio throughout the day, while also challenging myself to increase my water intake and consume at least a gallon a day. Mentally I’ve been preparing myself with positive affirmations and reminding myself of how deserving and unique I am. It all helps to keep me grounded as I prepare for the show. Once I feel good on the inside that will always radiate on the outside. IE: The proudest moment of my career so far is being able to inspire so many young women. I’ve received messages from girls all around the world who are so excited to see me walk in the VS Fashion Show which makes me so proud and beyond happy! I want every young girl watching to feel beautiful and represented. Anything is possible! How will you be celebrating post show? IE: I will definitely be celebrating with family and close friends. This is a true milestone for me and I cannot be any more grateful and excited.